This Christmas, Shanghai Tang draws you into a winter reverie inspired by China’s mythical traditions and romantic legends. 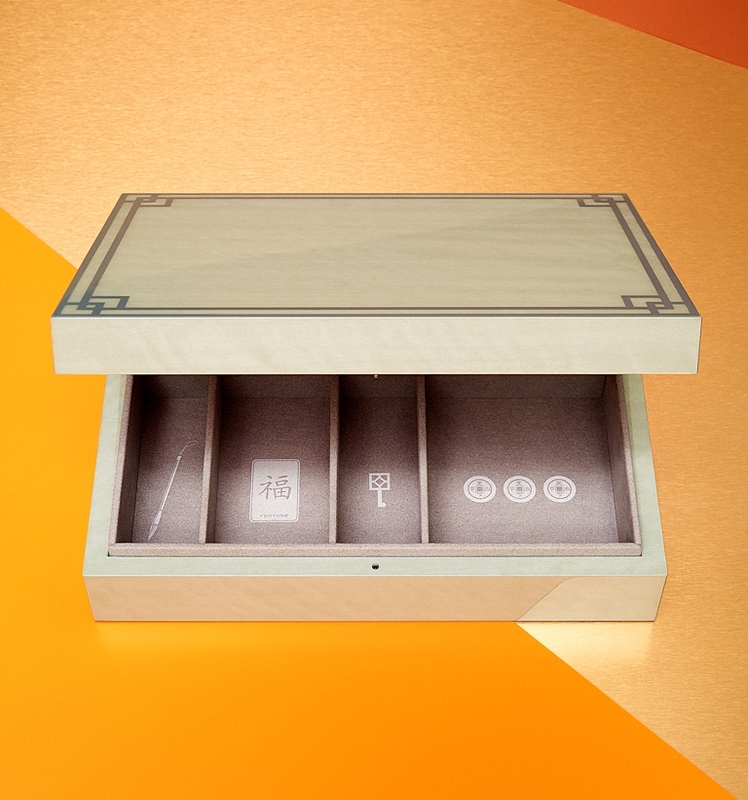 Enchanted by the symbolism of the ‘Eight Treasures’(八宝), we have crafted a collection of beautiful, stylish gifts that embody the virtues of design and luxury, reflecting harmony and peace, prosperity and long life. We entreat you to enjoy our Mongolian cashmere and precious silk work, and finely crafted home wares. 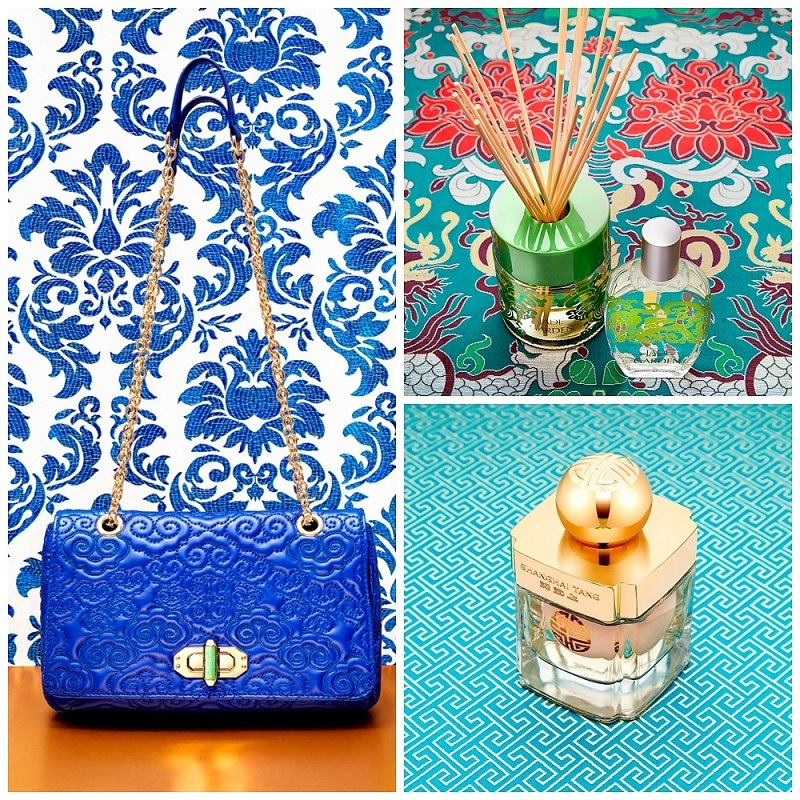 We hope that you will find inspiration in exotic ranges inspired by Chinese elements, precious materials and joyful colours, and create your own atmosphere with our scented candles and perfumes. Traditional values and motifs are revealed on a range of stylish gifts that include limited edition pieces, and a specially commissioned collaboration with one of China’s most respected contemporary artists. Bask in the romance of the fabled Silk Road with three high-quality soy wax candles that draw on evocative scents and spices to soothe, stimulate and relax. Each comes in a delicate bone china pot with a decorative meta lid, housed in an elegant display box for the perfect present. 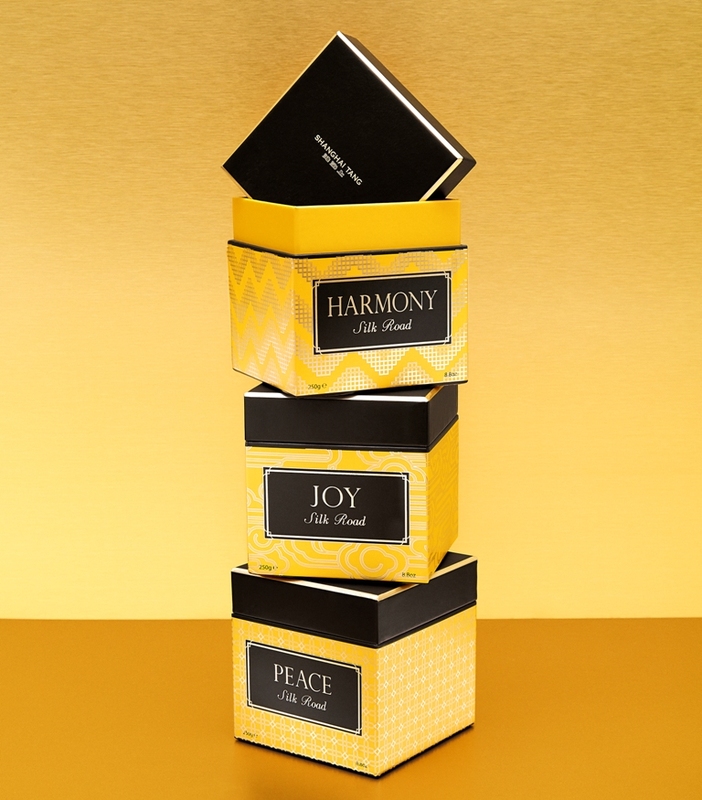 Choose between Joy in uplifting saffron, ylang ylang and ginger; Harmony, wth refreshing lemon and elemi; and Peace, a soothing blend of bergamot, violet leaf and black pepper. 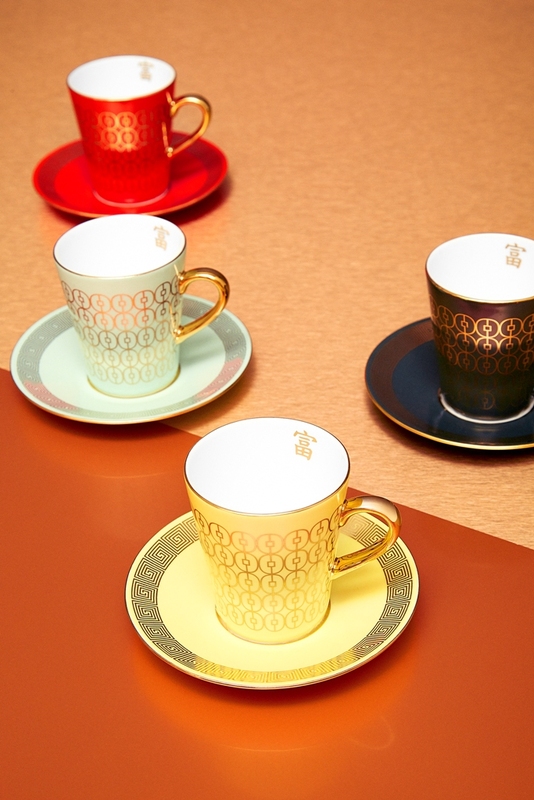 These elegant espresso cups and saucers are crafted from the fine bone china in four attractive shades, and intricately painted with classic Chinese coin and lattice motifs in a luxurious gold colour. The most sophisticated way to enjoy shot -- with the blessing of prosperity. 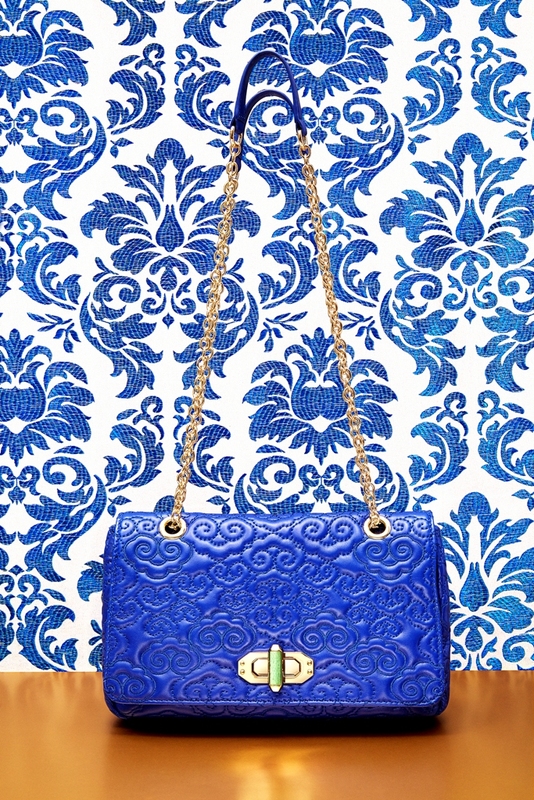 Carry fortune, happiness and longevity wherever you go with this trendy quilted shoulder bag. Made from extra-soft lamb leather in five colours and with an adjustable-length chain, it uses the auspicious cloud motif and lucky aventurine in a convenient twist lock. A beautiful accessory that can be paired with the Cloud Quilted Coin Purse or our other leather goods from the same collection. One of the oldest board games in the world, backgammon is still a strong favorite all over the world. 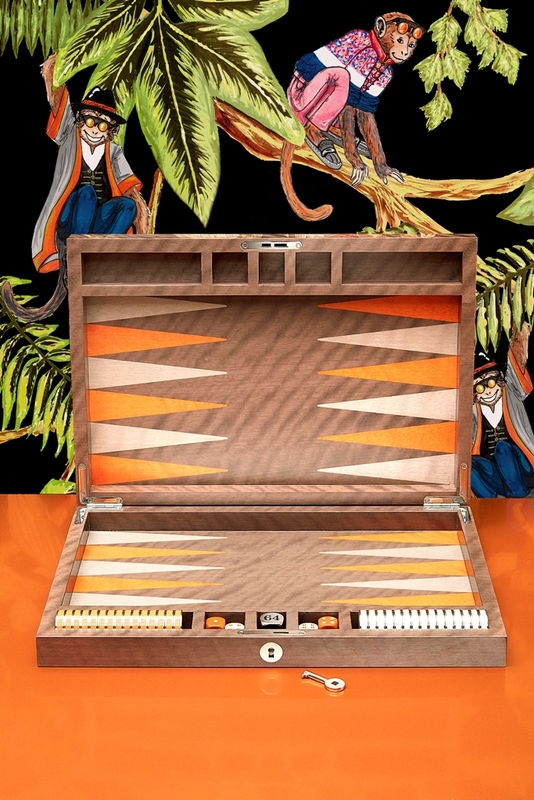 We've used China's long tradition of game-playing to design this superbly detailed backgammon board and pieces in gleaming brown lacquer wood, making a striking centerpiece to a games evening for family and friends. And the traditional coin motif on its lid may bring you wealth and good luck! Destined to be an exquisite family heirloom. An elegantly crafted lacquer box makes the ideal place to store treasured possessions, with different compartments to keep watches, jewellery and other finery safe and protected by a soft fabric lining. With a delicate decorative lattice pattern on the lid and quirky illustrations inside, we've also included hidden motifs to wish good fortune and wealth. In either navy or celadon, they make perfect gifts for him and her. From our exclusive Silk Road perfume collection, our Gold Lily Eau De Parfum takes its inspiration from the romance of the Far East's exotic trading route: vibrant gingerlily and sensual musk, Egyptian jasmine and frankincense make a heady, extraordinary fragrance for ladies that casts an instant spell. 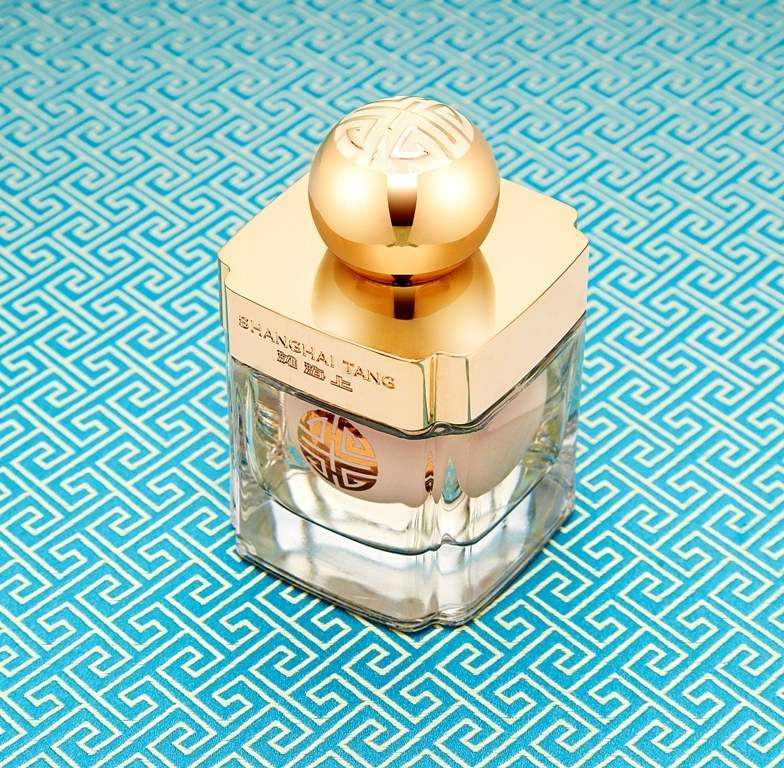 The elegant bottle uses two Shou motifs for long life, interlocked in the shape of the lucky number 8. Also in Spring Jasmine, Rose Silk, Orchid Bloom and Oriental Pearl. For this Christmas, Shanghai Tang produced a stunning limited-edition jacket in collaboration with contemporary Chinese artist Jacky Tsai. 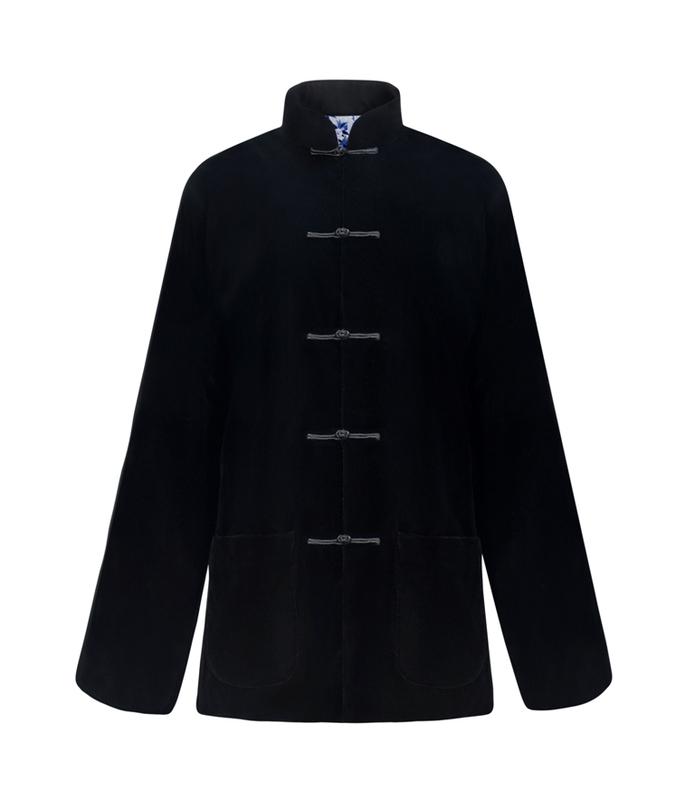 To recreate the tradition, we've tailored a stylish loose-fitting jacket in luxurious black velvet with a hidden secret: the silk lining bears Jacky's dreamlike Blue Lotus design that interprets a traditional Chinese riverside scene is pop art signature, reflecting the energy and optimism of China today.